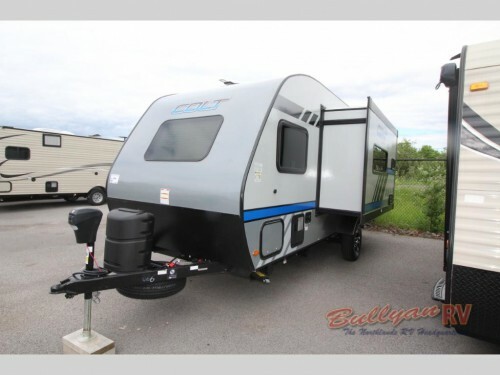 Just Arrived: The Keystone Colt 171RKCT Travel Trailer! The all new Keystone Colt 171RKCT travel trailer has just arrived to our lot! This lightweight, easy-to-tow camper comes with one slide and space to sleep up to four people. You will love the convenience and comfort this RV brings to the campground. Check out the newly arrived Keystone Colt 171RKCT Travel Trailer! One of the first things you are sure to enjoy about this Keystone Colt is how easy it is to tow. The aerodynamic design creates less wind resistance to give you better gas milage to help save you money while traveling. Plus, being in the lightweight category will make it much easier to pull by smaller sized vehicles such as an SUV or smaller truck. Although the Colt 171RKCT is more compact than other RVs on the market, it will still have many of the features that you want. Take the outside, for example. This space will come with an awning that can be extended to provide a shaded area on your campsite where you can enjoy the great outdoors around you, and the addition of an exterior shower allows you to clean off before entering the camper to keep it nice and tidy. 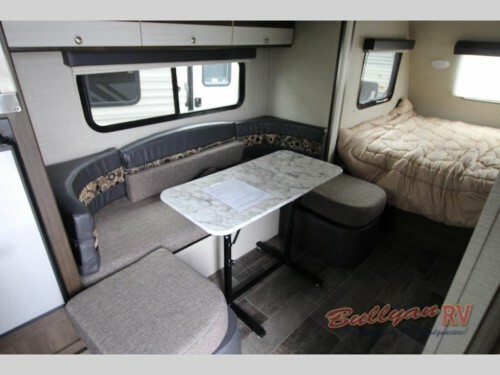 A queen sized bed and convertible dinette makes room for four people. 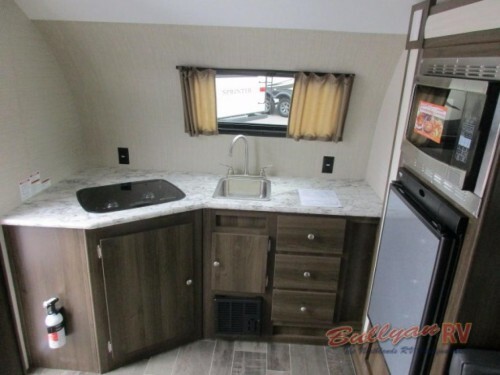 The interior of this Keystone travel travel is expertly designed to fit all of the creature comforts of home in a compact space such as the combination shower, toilet, and sink wet bath. For sleeping, you’ll find a queen sized bed complete with 24” LED TV nearby and overhead cabinets for storing your belongings as well as a U-shaped dinette located in the slide that can be converted into a bed in the evenings. You’ll love cooking in the beautiful and high quality kitchen. The kitchen will be stocked with everything you need to take care of your meals while on the road. All of the appliances will be stainless steel to increase the quality and look of this space, and with a dedicated pantry, you will have a perfect space for all of your kitchenware and dry goods. We love offering new products to give our customers the ability to get the new or used RV that fits their needs. Be sure to contact us to learn more about the newly arrived Keystone Colt 171RKCT travel trailer, and feel free to come by our location to take a look at it for yourself.